Horse-drawn carriages are found in museum collections across the country. As moving objects in static displays they are often difficult to interpret. This guide, funded by Arts Council England, brings together best practice in the interpretation of carriages to help museums bring them to life. It was commissioned by Staffordshire Archives and Heritage and written by museum interpretation consultant Steve Slack, in collaboration with professionals from across the museum sector working with carriage collections. ACE funding has also enabled the team to digitise Staffordshire County Museum’s nationally important collection of horse-drawn carriages, carts and sleighs and make them available online. The Staffordshire Carriages website features 3D imaging that you can rotate and zoom in to explore detail. 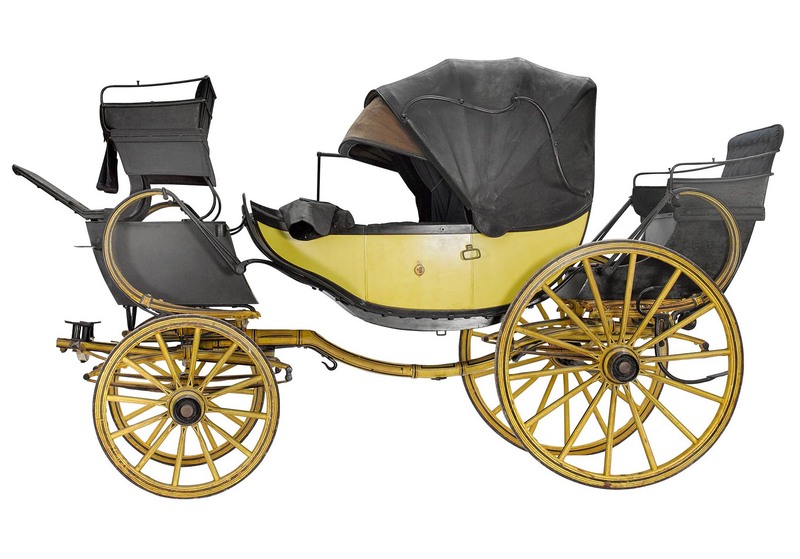 The Staffordshire Carriages website features 3D imaging that you can rotate and zoom in to explore detail, including this luxury Barouche.